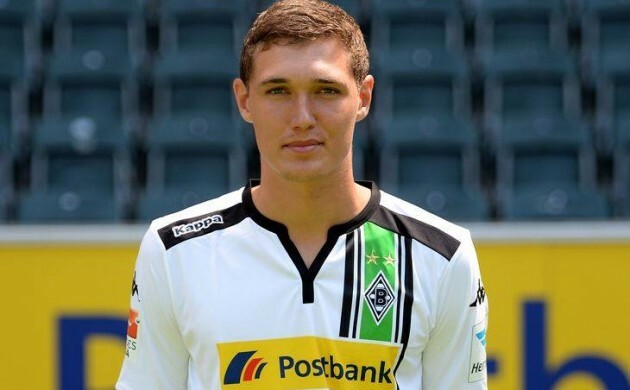 Andreas Christensen was probably a bit disappointed at the way his team Borussia Mönchengladbach lost to Barcelona in the Champions League last night. But he awoke to some better news today. The 19-year-old Dane is one of 40 young football talents shortlisted for the prestigious 2016 Golden Boy award, which wass established by Italian sports site Tuttosport back in 2003. He’ll face stern opposition however, with the likes of Kingsley Coman (Bayern Munich), Marcus Rashford (Manchester United), Leroy Sane (Manchester City), Dele Alli (Tottenham), Renato Sanchez (Bayern Munich) and Gianluigi Donnarumma (AC Milan) among those in the running. Previous winners of the award include Lionel Messi, Wayne Rooney, Sergio Agüero, Mario Götze and Paul Pogba – while FC Midtjylland’s Rafael van der Vaart won the inaugural edition back in 2003. Christensen, currently at the Bundesliga side on a two-year loan deal from Chelsea, has been tipped to be the long-term replacement of Daniel Agger in the national team. He already has eight caps to his name. Manchester United striker Anthony Martial won it last year, while Christensen’s Danish team mates Christian Eriksen and Viktor Fischer have also been nominated in the past. All those nominated must be under the age of 21 and play in a European nation’s top tier. See the entire 2016 Golden Boy player field here.